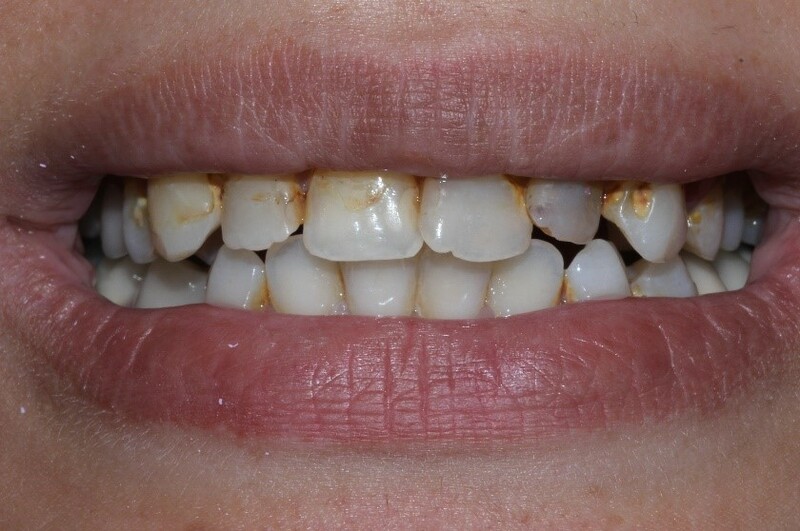 Carla had very discoloured front teeth which made her very self-conscious. 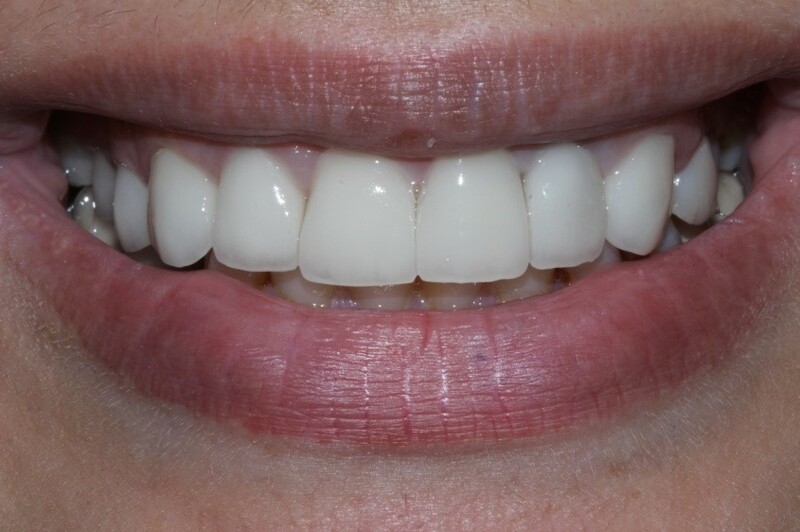 We fitted ultra-thin crowns on the front teeth to straighten and whiten the teeth. Carla is really happy with her even white smile.